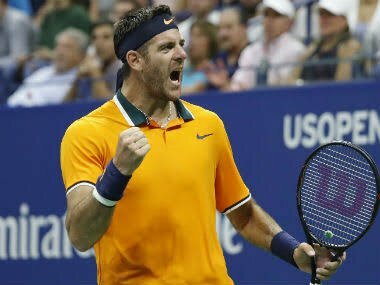 Juan Martin del Potro reached the US Open final on Friday, after defending champion and world number one, Rafael Nadal quit their semi-final game with a knee injury. The Argentine will face either Novak Djokovic, the 2011 and 2015 winner or Japan’s Kei Nishikori in Sunday’s final. “I hate to retire. It’s not a match when one is playing and the other is at the side of the court,” Nadal said afterwards. The Spaniard also retired trailing in the fifth set of his Australian Open quarter-final against Marin Cilic in January. Nadal was bidding for a fourth title in New York and 18th major title.